It’s no secret that I’m a big Jeremy Lin fan. I swear to the basketball gods, I will follow whichever team he plays for. My loyalty and idolatry for him started at the height of Linsanity. That obsession carried over as he played for Houston, LA, Charlotte, and now for Brooklyn. It might be the alcohol talking, but I hounded Tep Songco almost all night about buying that game ball signed by Lin himself. 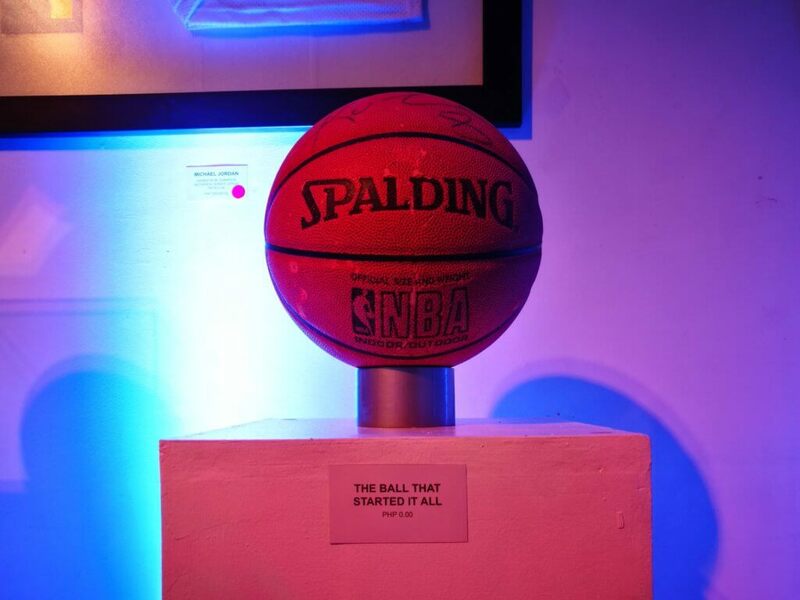 All sorts of pieces were displayed, from Shaq to Kobe to Jordan. But still, I looked for that piece that wasn’t on the gallery. All I wanted that day was to see, or even own, a piece of Lin’s history. Tep, along with his friends Ron Uy and Elvis Gutierrez, launched Hall of Fame Authentics last May 23 at the NOVA Gallery. A pioneering concept in the Philippines, Hall of Fame Authentics (HOFA) is the first, and so far the only sports memorabilia store in the country. When Ron and Tep approached Elvis to join them in building the store, he had no reasons to be hesitant in accepting the offer. After all, everything was already set, ready to be executed. “It was actually my thesis topic,” said Tep. HOFA actually started as Tep’s business model for his study at AIM back in 2016. Everything about the branding was well thought of. The name ‘Hall of Fame’ paid homage to the hall-of-famers, the true leaders of this industry. The word ‘Authentics’ was added to emphasize that they are selling authenticated items. Even the logo screamed of the company’s main product—signatures. But Elvis knew that it would take more than just a solid plan to build a business as trailblazing as HOFA. People with passion, experience and connections in collecting these kinds of items would be essential for this pioneering venture to succeed—traits that he believed Ron and Tep already possessed. “Noong nilapitan ako nina Ron and Tep to be partners sa HOFA, talagang kinagat ko na yung opportunity kasi sila matagal na talaga silang nagko-collect,” Elvis said. As a kid, Elvis was already hooked in some way to sports memorabilia. “Bata pa lang ako, nagko-collect na ako ng basketball cards. Early age, nagbubukas na ako ng packs. Nasundan yan ng pennants, ng posters, ng hats. Part yan ng memorablia,” he said. If Elvis started young, it’s safe to say that Tep started strong in the sports memorabilia scene. He was a sneakerhead before he got involved into collecting authentic sports items. “I started with Concords. It was unsigned, then I had it signed,” he recalled. From there, he expanded his collection which focused on the ’95-’96 Bulls, the Jordan-led squad which Tep dubbed as ‘the best team ever’. “College pa lang, nag-start na ako” Ron said. Like Tep, he started as a shoe collector. He fondly remembered how he camped overnight, fell in long lines just to get his hands on the latest hottest Kobes. His perspective changed when he tried his luck to see Kobe up close, when the Black Mamba visited the country during the 2007 Supernatural tour. “Pumila ako since the night before. Tapos, hintay ako hanggang 3 pm saka siya dumating sa The Fort branch. Ang layo naman! Nagdala pa ako ng jersey, wala,” Ron recalled. From that day on, his obsession turned from sneakers to signed basketball items. “Nag-start ako, signed shoe ni Kobe. Kasi sneakerhead talaga ako. After that, naging jersey, naging bola, lahat na,” he added. But as enthusiastic as Ron was in collecting sports memorabilia, his journey started on the wrong foot. “When I got home that night [after the Supernatural tour], ang sabi ko sa sarili ko, ‘gusto ko ng autograph’. So pag-uwi ko, bumili ako online,” he said. Unluckily for him, the signed ball that he bought for $100 turned out to be fake. But that mishap didn’t stop him from collecting authentic sports items. He studied on his own about the intricacies of looking for and dealing with such items. 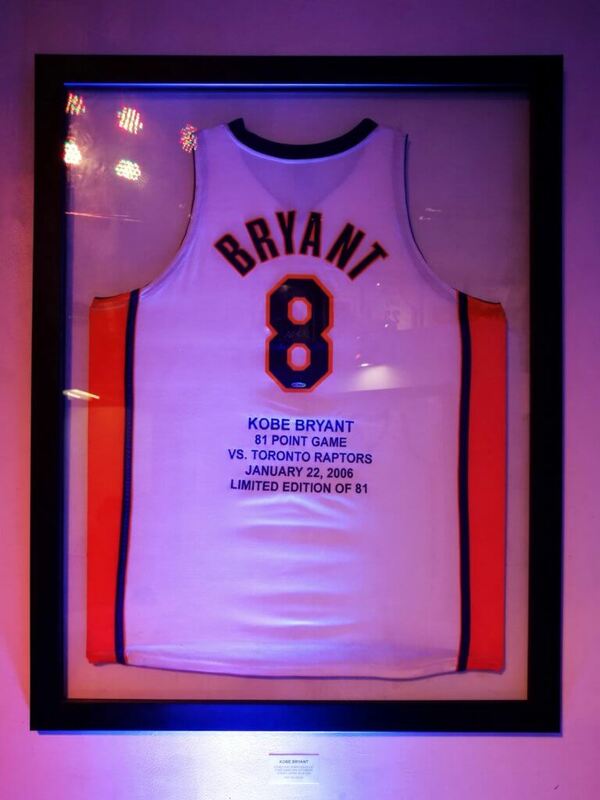 Now, he owns a huge collection of authentic Lakers memorabilia. I swear my dad would kill me if I sell one of his cars for a prized pair of sneakers. Even for a guy like me who loves sneakers more than cars, the idea of trading something that’s used for driving for another thing that’s used for running at its fastest doesn’t immediately make sense. In fact, it’s insanity for me. But that’s exactly what Tep did to acquire a pair of Concords that Jordan used in-game. “I sold my car for that,” he recalled. It was a bold move. But as mind-boggling as it was, he actually had a good reason for doing such. “May extra car ako, binenta ko siya para bumili ng game-used Concords. Tapos ano na value niya ngayon? Nag-appreciate pa siya. Kaysa yung car na na-zero yung money ko [after a few years], di ba,” Tep explained. It’s crazy how these items appreciate in value over time. 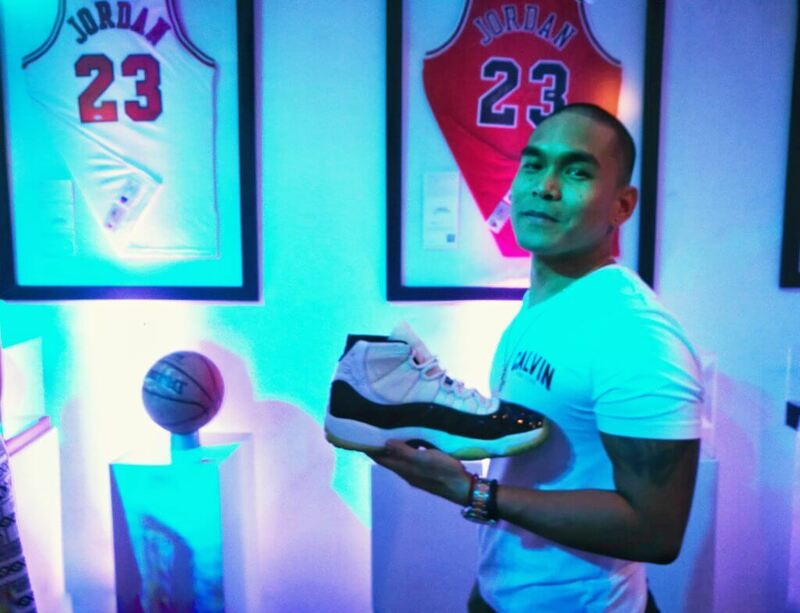 Tep acquired the game-used Concords for 400 thousand Pesos. Now, its value has raised to around 1.5 to two million pesos. Like Tep, Ron also owns a valuable pair of sneakers: a game-worn pair of Kobes. The same shoes that he bought for $5,000 before Kobe retired was valued at $18,000 post-‘Mamba Out’. “Pero tanong nga sa akin ng asawa ko, ibebenta mo ba,” said Ron. And for him, that question speaks of the true value of his memorabilia, and his love for the game. 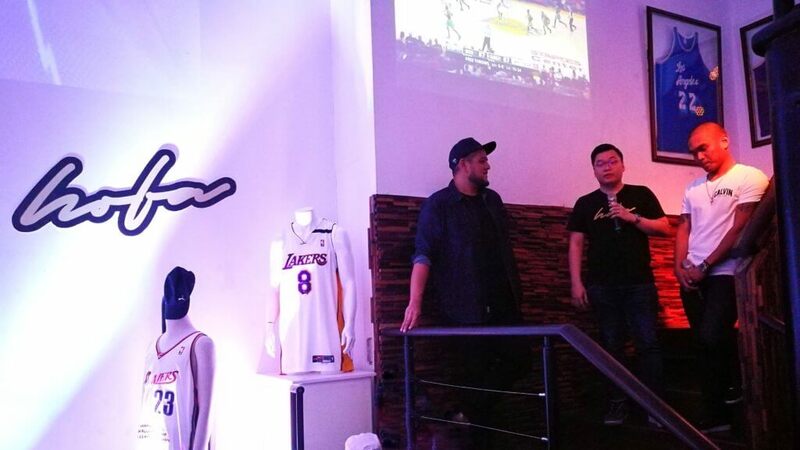 As a startup company, HOFA aims to bring sports memorabilia to the Philippine market at reasonable prices. “At HOFA, we’re out here to help fellow fans like ourselves get connected with the athletes that they look up to,” Ron said. 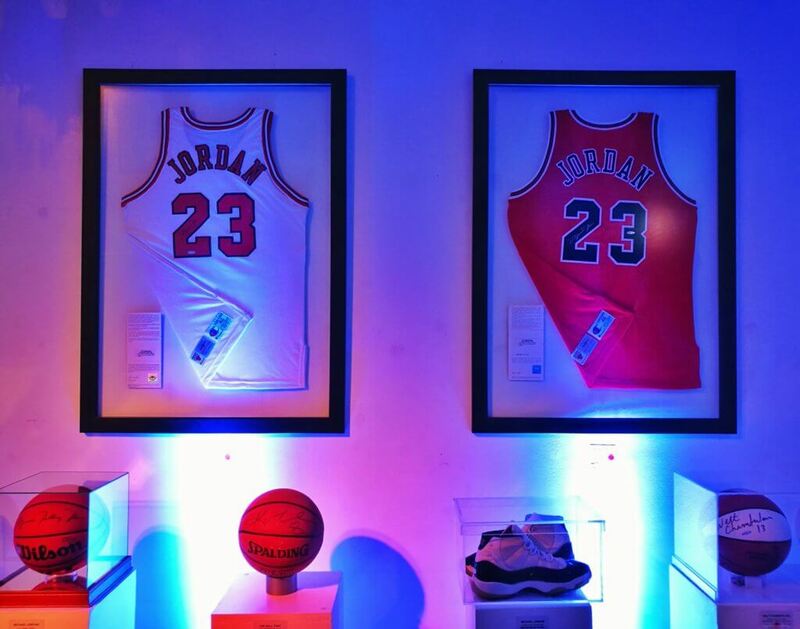 HOFA offers not only authentic basketball memorabilia, but also other sports like baseball and football, among others. With HOFA, sports fans won’t have to worry about paying high prices. All the prices of their items are sold at the same price as their partners in USA. Moreover, they offer layaway prices and installments to make their products more affordable to the sports fans. But at the end of the day, it’s the feeling of connection with the athletes that complete the sports memorabilia experience. “Once you start your collection, tapos makita lang na may pirma, iba yung ngiti,” said Tep. For sports fans like Ron, Tep and Elvis, owning a signed ball, a game-worn shoe or a limited-edition jersey can give a surreal feeling that no posters or pictures or general release merchandise can’t. “Yun nga lang sa poster, you feel like you have a piece of your idol. What more kung meron kang bola or jersey niya,” Elvis added. The alcohol died down as I woke up the next day. But that didn’t mean that my desire to have that Lin-signed ball went away with it. Should I buy it? Maybe I should not ask myself a yes-or-no question, but rather think about when should I start building my own collection. And there’s no better piece to start than a piece of Jeremy Lin’s history. Or maybe I can do something insane, sell my dad’s car to buy game-worn pairs of Jordans, Kobes or LeBrons.